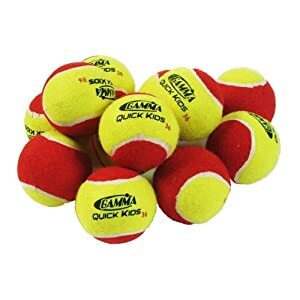 GAMMA Quick Kids 60 Balls (prev. First Set Balls) are low compression, medium bounce soft training tennis balls designed for beginners. The slower ball speed provides more time to react and set up each shot for more consistency and control when learning. The softer feel makes learning more fun for children who may fear harder regulation balls. 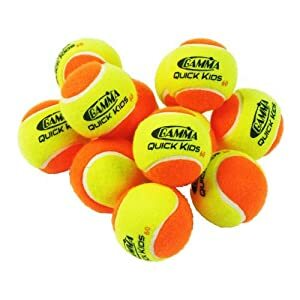 Quick Kids 60 Balls conform to the USTA QuickStart Tennis format standard for ORANGE tennis balls on a 60′ court. ITF Stage 2 specification.